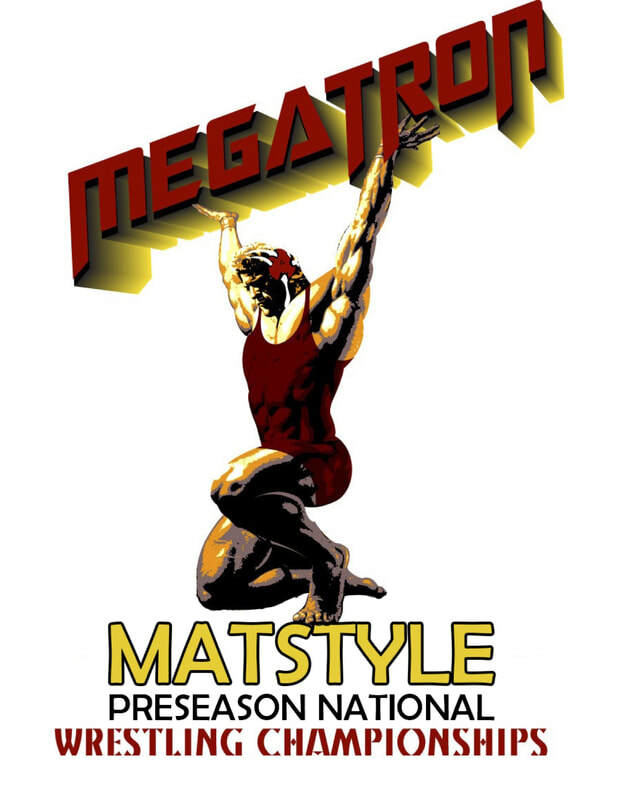 MATSTYLE PRESEASON NATIONALS - Megatron Events, Inc.
MATSTYLE was created to give the Wrestling, Grappling and Jiu Jitsu communities a different competitor experience. Matsyle is a new form of competition focusing on the top and bottom positions. This style allows the competitor to focus on their ground game. Competitors will not compete on their feet at all in this competition. Similar rules to College/High School Wrestling for points, as well as adding a couple new ways to score. For the Grappling and Jiu Jitsu community, Matstyle is great for working on getting out of giving up your back in referee's position, working in 1/2 guard and being able to work in other positions that would normally lead to serious injuries. Late Entry Registration starts Oct 1-5, Late fee applies and will increase each day. $30 FEE to bump up a weight at weigh in on Friday. For brackets, double elimination--round robins also available. Competitors will have until Friday October 5, 5pm to make changes to weight classes. $30 FEE to bump up a weight at weigh on Friday if weight is not made. Overtime in the event of a tie after regulation. Modified Collegiate and National Federation High School Rules (minimum rest between matches and maximum # of matches per day not in effect) Head gear not required. Must make weight in competition singlet, fight shorts and compression top or Gi! NFHS website for specific rules. College out of bounds rules apply for near fall and pins. College near fall, 2 points for a 2 count, and 4 for a 4 second count, 5 for a 10 sec count. Bottom position competitor will receive 2 points for escaping. 3 points for Reversal. Top position will get 2 points if they are in control for the entire period and bottom competitor does not escape or score. Pin ends the match with both scapulas in control. First competitor to 15 points ends the match. No pick up and dump mat return, any type of slams from feet equals immediate disqualification. Riding time is not kept or scored. 30 Second overtime for tiebreaker. Same as College and Highschool triple overtime. First competitor that scored in regulation will receive choice of positions, first person to score wins. If there is no score, then the competitor on top wins for controlling the opponent for 30 seconds. Finalizing Awards, Info out soon. Pre-Paid Entry Available to avoid the lines.